➜ The revolution WILL be televised! 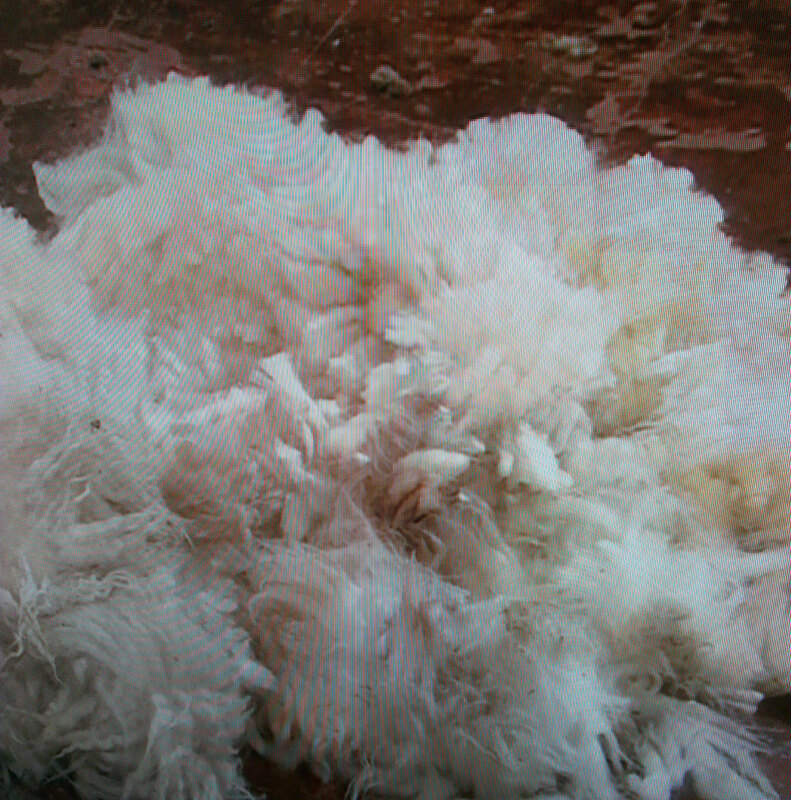 We interrupt our schedule of posts from Shepherds during the ‘Growing Wool’ phase of the WOVEMBER postings to reflect on recent events in the world of blade-shearing, handspinning & handknitting, and to bring you news of the momentous use of this fleece, grown on the back of a now famous Norwegian sheep! Who else was up late on Friday watching Norway’s live broadcast of a team of spinners and knitters attempting to beat the World Record in the International Back to Back Wool Challenge? 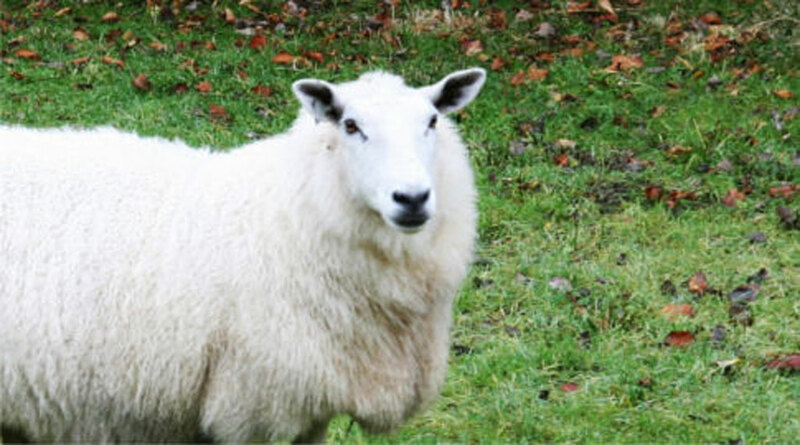 The idea behind the challenge is to shear a sheep and then spin and knit its fleece into a jumper, taking wool from the back of the sheep onto the back of a person. The shortest time in which this has been achieved is four hours, fifty one minutes and fourteen seconds, and this World Record is held by Australia. Last Friday, a marvelous “Slow Television” broadcast detailed a team of eight – a blade shearer plus seven handspinners & handknitters – attempting to break this World Record. “Slow Television” is television which documents an ordinary event in its complete length. It is the opposite of most television, which condenses events greatly in order to fit the into tight broadcast schedules. If you know how long it takes to spin a skein of yarn or knit the sleeve of a sweater, you will understand at once why choosing a “Slow Television” format for the broadcast of the Norwegian knitting challenge was genius. Shown in real time, much of the nature of these activities (often lost in more impatient broadcast formats) is preserved; a sense of steady progress; an atmosphere of focus and industry; and the sense of many hands working fast. 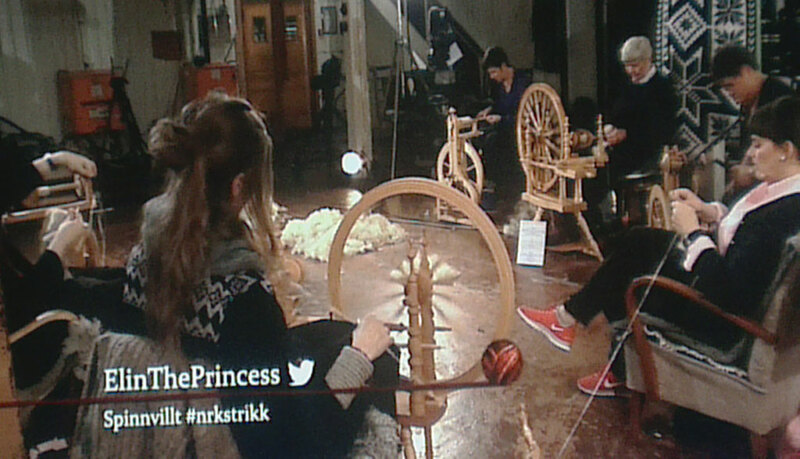 In a live broadcast from NRK, handspinners & handknitters worked away at their respective tasks, with a helpful man handing out neck rubs and coffee, the whole thing was set in an old textile factory, and it was all televised in real time. This was wondrous, and made perfectly apposite WOVEMBER viewing. 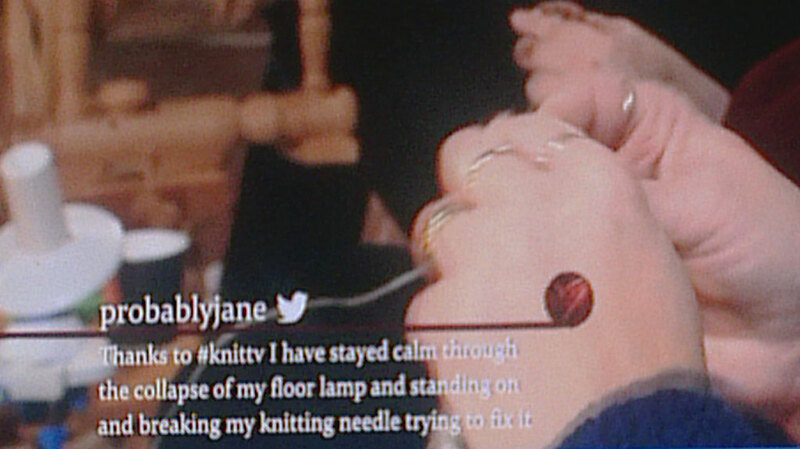 The slow nature of the broadcast meant that it was brilliantly paced for viewers to Wool-Along with! Rather than scrabbling about with needles or spindles to try and keep up with a craft demonstration that’s been heavily edited, you could just pick up your tools and join in, and given the momentous and competitive nature of the content, it was remarkably relaxed and informal. 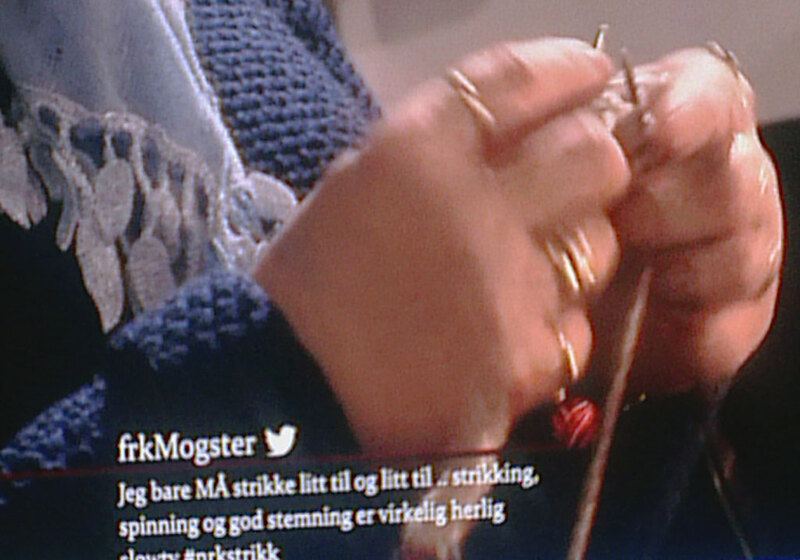 The sense of time in this knitterly edition of Norwegian “Slow Television” meant that there was a real feeling of sharing the same virtual “workspace” with the knitters and spinners onscreen, whilst watching. The sound of the spinning wheels resonating in the big old textile factory was beautiful, and the rhythms of the work taking place must have been familiar to anyone who spins and/or knits. 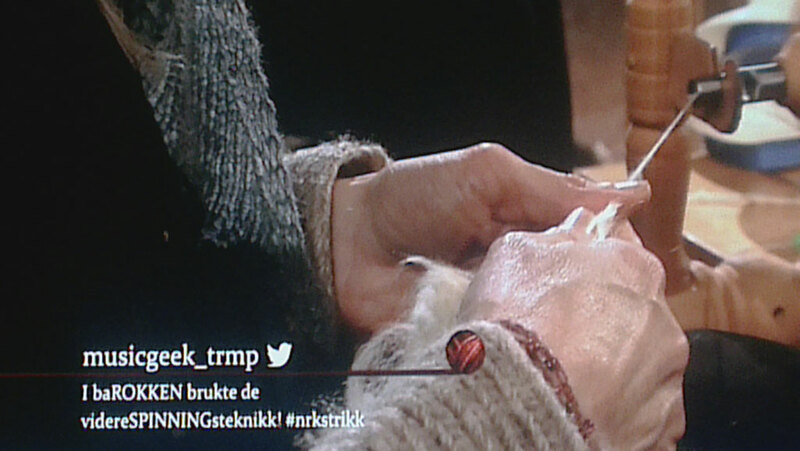 That sentiment of sharing and participating in the World Record attempt was heightened by the inclusion of social media, with tweets hash-tagged #knittv or #nrkstrikk being shown up on the screen in different languages and from folk all over the world. They were great to read, and gave a sense of collective presence at this event. The genre of televised craft demonstrations is generally characterised by tricks designed to hurry up the pace of making. Jump cuts, fast-forwards, and the classic Blue Peter line “here’s one I made earlier” are symptomatic of approaches which assume viewers cannot maintain attention for as long as it actually takes to actually make things by hand. 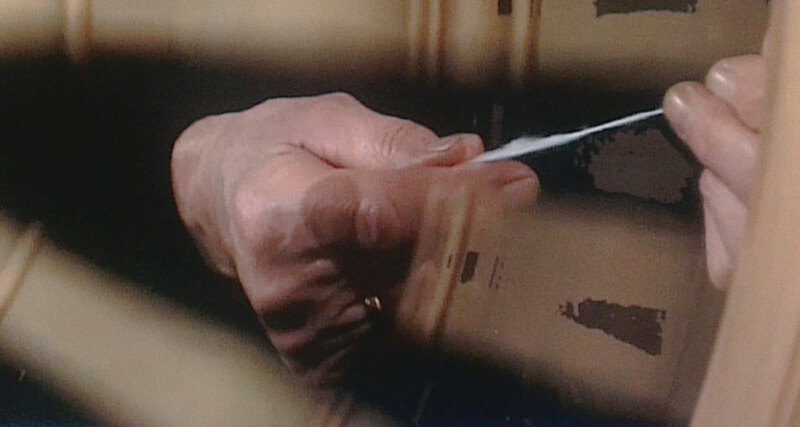 However perhaps if more making was broadcast in real-time, viewing habits would change, and folk would begin organising themed making events to coincide with broadcasts that are long enough to get stuff made in? The deliberately unsensational approach taken by the programmers at NRK is completely at odds with how World events are usually conveyed to us, and though there were a few reports genuinely attempting to understand the appeal of “Slow Television”, many news features awkwardly tried to sensationalise this World Record attempt or rubbish the very idea of the broadcast for not confirming to the usual tropes of competition coverage. Maybe the snarkier Newspaper articles announcing this broadcast would have been different if the people writing them were knitters or spinners who could imagine what a deep pleasure it would be to vicariously participate in this woolly feat! For this WOVEMBERIST, it was good to feel the un-cynical thrill that television can occasionally really be used to connect people in a meaningful way. Key to maintaining a sense of intimacy was the way that the broadcast resembled in so many details the textures of everyday life. The space was not a sterile studio; the handspinners and handknitters were not wearing crazy outfits; the pace had not been set to “knitting-on-steroids”; and there were no relentless background beats chivvying the action along. Instead, the organisers concentrated on making the concept simple and interesting, and on including space for viewers to fill with their own thoughts. There was something truly lovely about seeing spinning wheels spinning and enjoying the same lulls and swells of conversation that you’d find in a Guild meeting or at knit night; it made everyone feel they were there. There was some fear I think that this type of television would be boring, but rising ratings and figures on Twitter trends show that there is perhaps more demand for this kind of broadcast than may previously have been assumed. Sadly, the Norwegian team did not beat the Australian World Record for the International Back to Back Wool Challenge; information online about the actual times is a bit scant, but to the best of my knowledge the Norwegian sweater was completed in eight hours and thirty three minutes. Yet in spite of the World Record not being beaten, nine hours of solid WOOL broadcasting occurred! 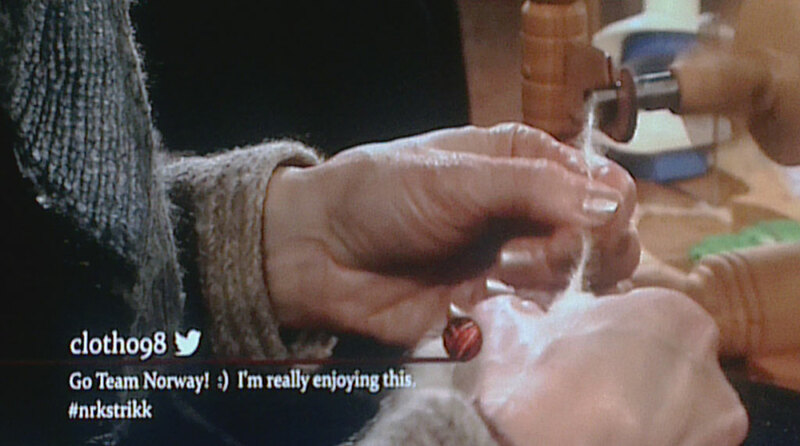 This WOOL broadcasting featured interesting commentary; loads of viewer interaction; a public airing of many important knitting and spinning narratives; and hours of footage of people confidently handspinning and handknitting on the television! There was a wonderful moment, for example, when this handspinner described how she had learnt to spin some years ago, specifically because she thought it would be so amazing to be able to make a sweater from a sheep she had actually met. The story of who holds the World Record for the International Back to Back Wool Challenge is one story, and it’s a good one. However, here at WOVEMBER we are interested in another story, too, which is about celebrating the origins of wool in the landscape; highlighting that it grows on the back of a sheep; and foregrounding the labour that goes into processing and designing with this wonderful textile. If we think about that story, and of how everyone working with 100% WOOL in one way or another is part of it, then the NRK broadcast was an utter triumph and publicised that message to the masses in an interesting and engaging way. Well Done Norway for bringing WOOL to the fore through your magnificent concept of “Slow TV” and for your International and inclusive approach to audience engagement. 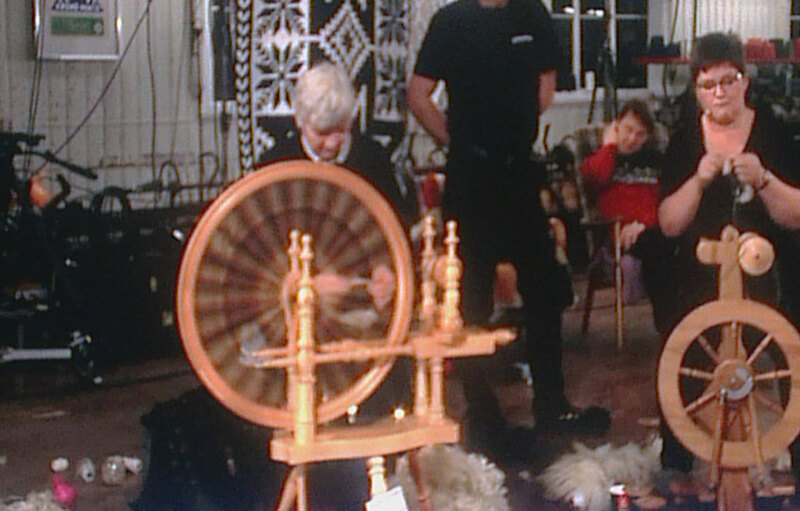 Thank you for presenting the labour of shearing, spinning and knitting in a way which invited others to join in and feel part of what you were doing; and last but not least – since we are in the ‘Growing Wool’ phase of WOVEMBER – thank you Guri, the Norwegian White from the island of Radøy, without whose fleece none of this could have happened.